If you have visited Fort Lauderdale Beach lately, you may have enjoyed one of the free Friday Night Sound Waves concerts oceanside at The Hub, the exciting return of the Fort Lauderdale Air Show, or the International Beach Volleyball competition at the SWATCH Majors Series. Each of these events, and many others, receive support and private contributions by the businesses on Fort Lauderdale Beach, which make up the Fort Lauderdale Beach Business Improvement District (BID). Founded in 2007, the Fort Lauderdale Beach BID is comprised of nine advisory board members; seven whom represent commercial properties located on Fort Lauderdale Beach. The board’s two other members include 2016/2017 BID Chair Eduardo Fernandez, General Manager of Sonesta Fort Lauderdale Beach representing the Greater Fort Lauderdale Chamber of Commerce Beach Council, and Vice-Chair, Ina Lee, President of Travelhost Fort Lauderdale, representing the Beach Redevelopment Advisory Board (BRAB). The BID’s 2016 major initiatives have proven quite successful, with the Friday Night Sound Waves concerts attracting more than 10k locals and visitors during the 36-week free concert series, and myfortlauderdalebeach.com reaching more than 140,000 unique visitors from around the globe. New traffic control box wraps along A1A featuring comprehensive maps of the area, was one of a number of special beautification projects and conveniences which will continue throughout the coming year. Special events supported by the BID on deck for 2017 include the SWATCH Beach Volleyball Majors Series and South Beach Wine & Food Festival’s Taste Fort Lauderdale Series in February, followed by the Fort Lauderdale Air Show in May and Riptide Music Festival in December. The much-anticipated Friday Night Sound Waves free concert series, which receives major funding from the BID, will make its return to The Hub at Las Olas and A1A, March 10 through November 10, 2017. Together with the BRAB and City of Fort Lauderdale, the BID will once again co-sponsor the annual Memorial Day Great American Beach Party, 4th of July Spectacular and annual holiday display unveiling, Light Up the Beach. 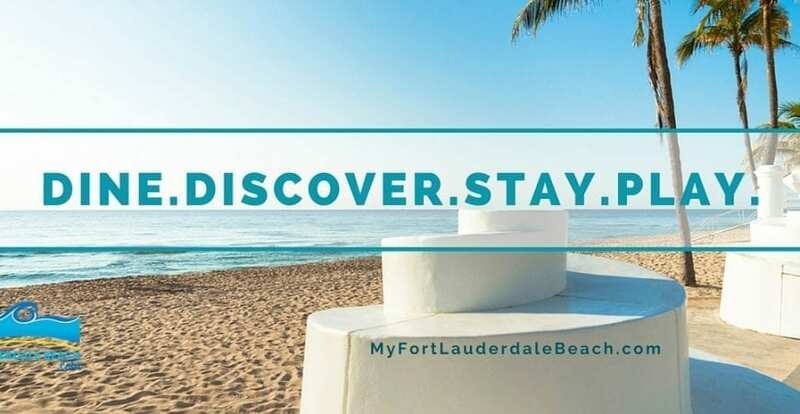 In 2014, the Fort Lauderdale Beach BID launched www.MyFortLauderdaleBeach.com and a complimentary network of social channels, including Facebook, YouTube and Twitter. Growing in popularity, the website is a mobile friendly, comprehensive guide of area events, hotel and dining options, special offers, and an interest based blog for anyone and everyone who wants to learn more about everything Fort Lauderdale Beach has to offer. rAv Communications. Over the past 3 years, the firm has helped the destination website triple its page views to over 300,000, and double the reach of their social channels, from 1.975 million in 2015, to a record-breaking 4 million impressions in 2016. New this year for MyFortLauderdaleBeach.com is the weekly ‘Rooftop Rendezvous’ Facebook Live broadcast which airs every Wednesday from 12:45 p.m. – 1 p.m. on the website’s accompanying Facebook page, www.facebook.com/myftlb. Featuring a bird’s eye view of people strolling on the beach or enjoying various watersports, the live feed aims to provide viewers who are tuning in from around the globe a brief 15-minute mid-day/mid-week beach escape. “Wednesday, December 21 was the first day of winter, and while standing on the rooftop terrace of Rock Bar the thought, ‘what a gorgeous day; we should share this,’ came over,” Glassman explained. “Without a plan or speaking a word, we went live for 5 minutes. Twenty-two thousand views, 444 engagements and 338 shares later, Rooftop Rendezvous was born. This year MyFortLauderdaleBeach.com is also launching monthly VIP prize give-a-ways on their Facebook page. The first, which runs through January 27, is the opportunity to win a pair of Beach Friends VIP Weekend passes to the 2017 FIVB SWATCH Beach Volleyball Majors Series, valued at $1,700. 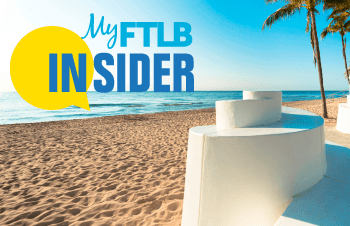 On February 3, fans of the page and those registered for the monthly MyFTLB Insiders email will learn how to win tickets to popular events taking place during the South Beach Wine and Food Festival’s Taste Fort Lauderdale Series. To learn more about all Fort Lauderdale Beach has to offer visit www.myfortlauderdalebeach.com or connect via social media on Facebook, Twitter, YouTube or Pinterest. For more information about the Fort Lauderdale Beach BID, please email info@myfortlauderdalebeach.com. About Beach BID: The Fort Lauderdale Beach Business Improvement District’s (BID) primary focus is to market Fort Lauderdale Beach as a premier destination to locals and visitors from around the globe. Through private investment, they enhance one’s experience between its governing boundaries along A1A from Harbor Drive to Sunset Boulevard. To learn more about the different places to “Dine, Discover, Stay and Play” on the beach, visit https://www.myfortlauderdalebeach.com/.